Situated on the stunning Isle of Mull, this 3-star accommodation offers self-catering facilities and free Wi-Fi throughout. The family-run Arle Lodge has free private parking on site. With beautiful views of the surrounding area, all rooms are decorated in neutral, relaxing tones and some come with en suite bathrooms. Towels, linen and a hairdryers come as standard in every room. Arle Lodge has a garden with picnic tables and barbeque facilities. There is also a self-catering kitchen equipped with 2 microwaves, 2 fridges and cooking facilities. 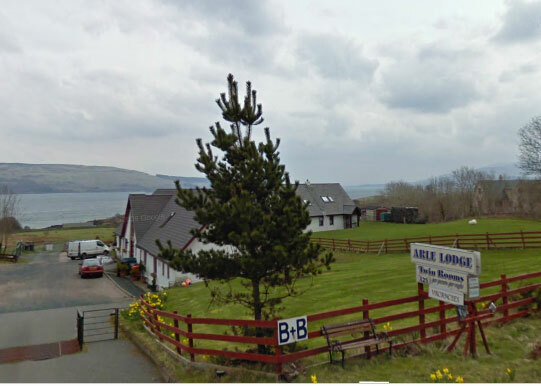 The lodge is 16 miles north of the Oban-Craignure ferry terminal and 5 miles south of Tobermory on the A848. Nearby activates include wildlife tours, cycling and whale watching.